DJI has rethought its drone technology from the ground-up, revolutionizing its systems to achieve a new standard for drone accuracy – offeringPhantom 4 RTK customers centimeter-accurate data while requiring fewer ground control points. A new RTK module is integrated directly into the Phantom 4 RTK, providing real-time, centimeter-level positioning data for improved absolute accuracy on image metadata. Sitting just beneath the RTK receiver is a redundant GNSS module, installed to maintain flight stability in signal-poor regions such as dense cities. 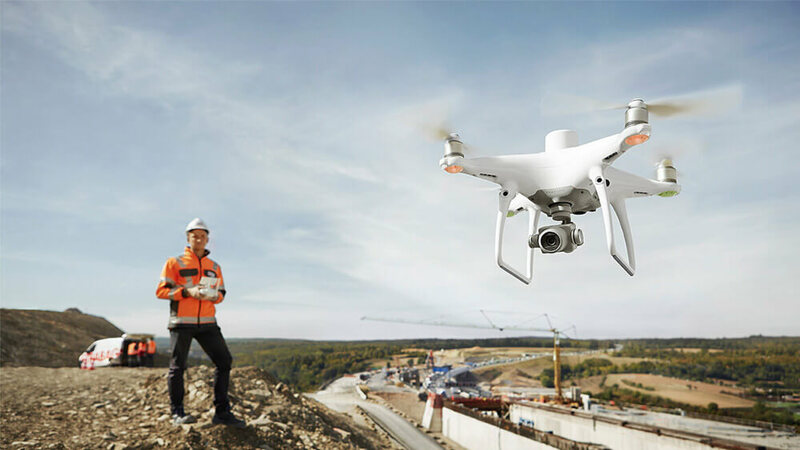 Combining both modules, the Phantom 4 RTK is able to optimize flight safety while ensuring the most precise data is captured for complex surveying, mapping and inspection workflows. 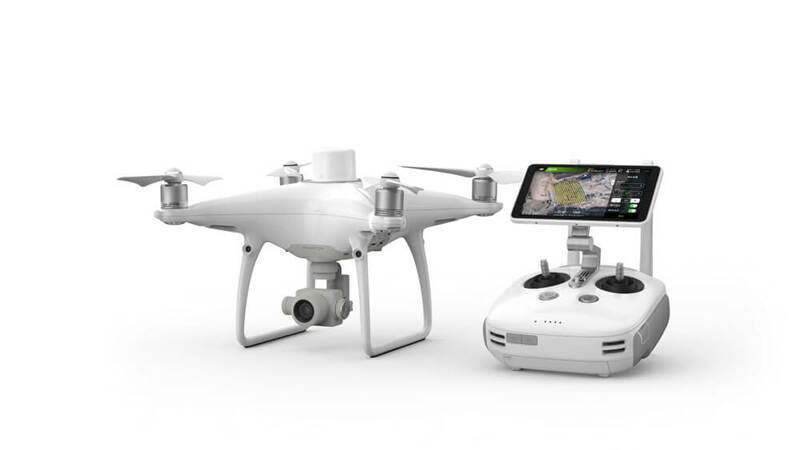 Fit the Phantom 4 RTK to any workflow, with the ability to connect this positioning system to the D-RTK 2 Mobile Station, NTRIP (Network Transport of RTCM via Internet Protocol) using a 4G dongle or WiFi hotspot, or store the satellite observation data to be used for Post Processed Kinematics (PPK). 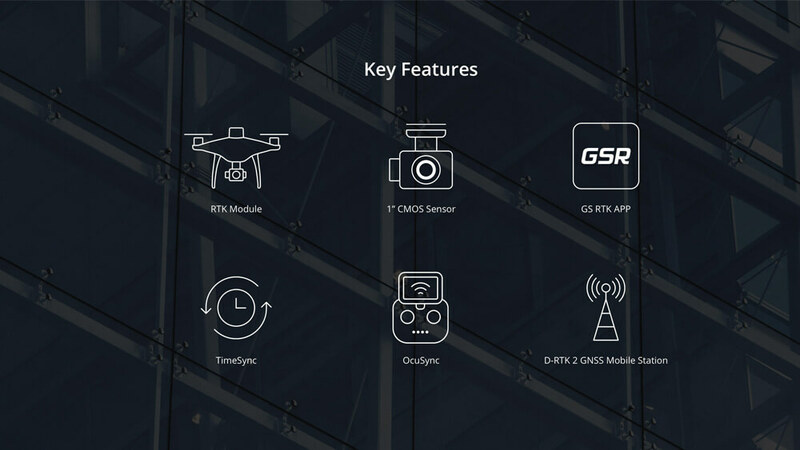 To take full advantage of the Phantom 4 RTK’s positioning modules, the new TimeSync system was created to continually align the flight controller, camera and RTK module. Additionally, TimeSync ensures each photo uses the most accurate metadata and fixes the positioning data to the center of the CMOS – optimizing the results from photogrammetric methods and letting the image achieve centimeter-level positioning data. 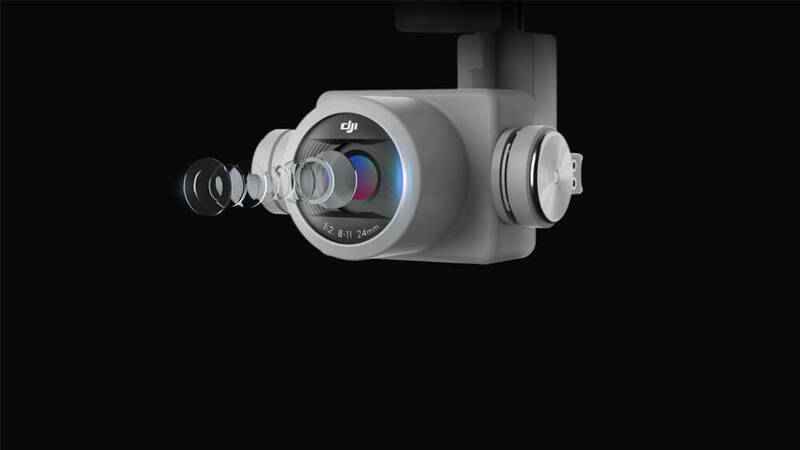 Capture the best image data with a 1-inch, 20 megapixel CMOS sensor. Mechanical shutter makes mapping missions or regular data capture seamless as the Phantom 4 RTK can move while taking pictures without the risk of rolling shutter blur. Due to the high resolution, the Phantom 4 RTK can achieve a Ground Sample Distance (GSD) of 2.74 cm at 100 meters flight altitude. To ensure each Phantom 4 RTK offers unparalleled accuracy, every single camera lens goes through a rigorous calibration process where radial and tangential lens distortions are measured. The distortion parameters gathered are saved into each image’s metadata, letting post-processing software adjust uniquely for every user. A new GS RTK app allows pilots to intelligently control their Phantom 4 RTK, with two planning modes – Photogrammetry and Waypoint Flight – alongside a more traditional flight mode. The planning modes let pilots select the drone’s flight path while adjusting overlap rate, altitude, speed, camera parameters and more, offering an automated mapping or inspection workflow. The GS RTK app has been built with its users in mind and therefore has a range of features built for specific mapping or inspection workflows. The app has implemented direct loading of KML area files for in-office flight planning, a new shutter priority mode to keep exposure consistent across all photos and a strong wind alarm to warn pilots of adverse conditions. 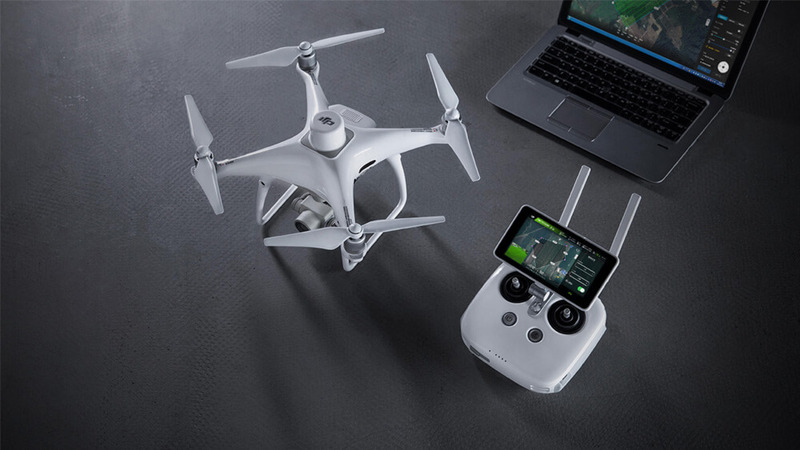 The Phantom 4 RTK is compatible with the DJI Mobile SDK, opening up its functions to automation and customization through a mobile device. Enjoy stable and reliable HD image and video transmission at distances of up to 7 km, great for mapping larger sites. *Unobstructed, free of interference, when FCC compliant. Maximum flight range specification is a proxy for radio link strength and resilience. Always fly your drone within visual line of sight unless otherwise permitted. Support your Phantom 4 RTK missions with the D-RTK 2 Mobile Station – providing real-time differential data to the drone and forming an accurate surveying solution. 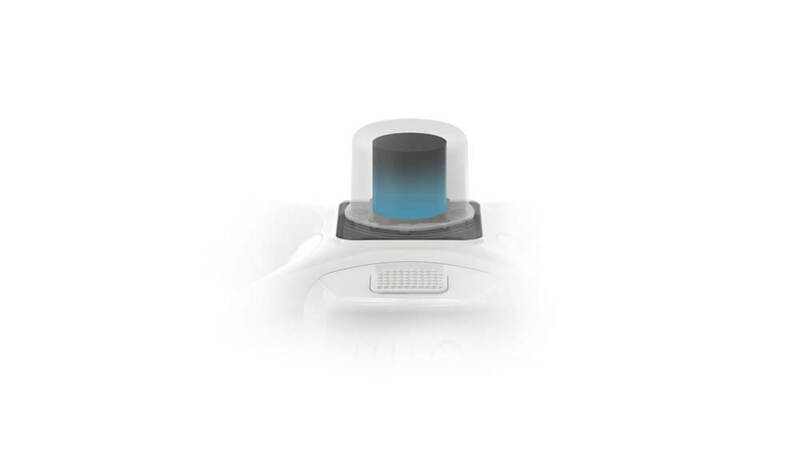 The Mobile Station’s rugged design and OcuSync 2.0 transmission system ensures you can gain centimeter-level accurate data with your Phantom 4 RTK in any condition. 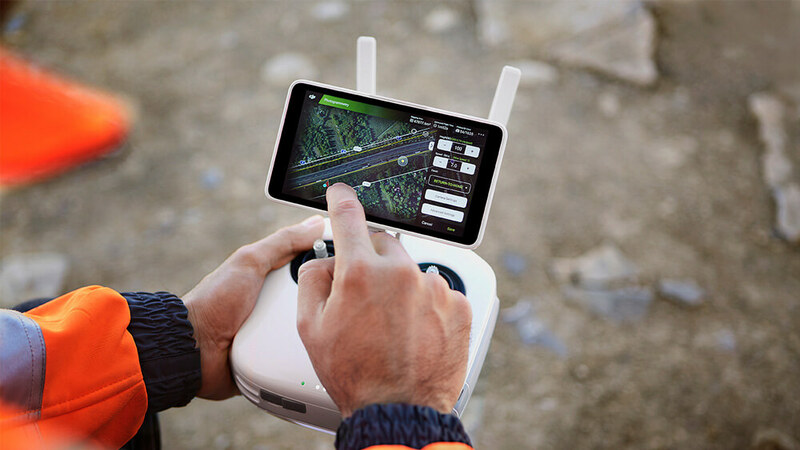 With a built-in flight planning app (GS RTK) and aneasymethod to collect RTK data (RTK Network or D-RTK 2 Mobile Station), pilots have a full solution for any surveying, mapping or inspection workflow – right out of the box. ±1.5 m (with GNSS positioning). Image Position Offset The position of the camera center is relative to the phase center of the onboard D-RTK antenna under the aircraft body's axis:(36, 0, and 192 mm) already applied to the image coordinates in Exif data. The positive x, y, and z axes of the aircraft body point to the forward, rightward, and downward of the aircraft, respectively. f/2.8 - f/11, auto focus at 1 m - ∞. 1 ppm means the error has a 1mm increase for every 1 km of movement from the aircraft. SRRC / CE / MIC / KCC：3.1 mi (5 km) (Unobstrcted, free of interference). For a drone that’s designed for aerial surveying and 3d mapping, look no further than the new DJI Phantom 4 RTK. Built specifically with surveyors in mind, the Phantom 4 RTK incorporates a new real-time kinematics (RTK) system to maintain positional accuracy and deliver survey-grade data. 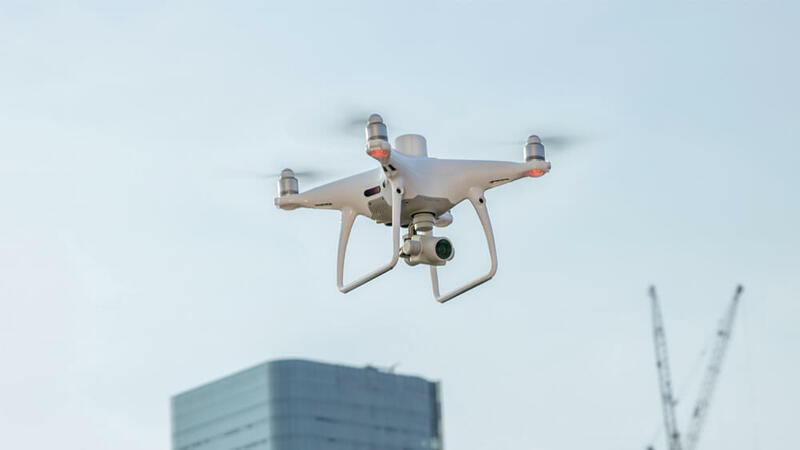 With this launch, DJI has rethought its drone technology from the ground-up, revolutionizing its systems to achieve a new standard for drone accuracy – offering Phantom 4 RTK customers centimetre-accurate data while requiring fewer ground control points.